When Carruthers "Danni" McAllister receives an old pouch for her birthday, she has no idea of what is in store for her and how her life will change. The pouch has mysterious powers and has been handed down in the family for generations. There are consequences for unwisely using the pouch and it's unpredictable powers. When her family is threatened, Danni will call on the power of the pouch and is astounded at what, together, she and the pouch can do. The story includes Danni's immediate family, her grandfather and a "friend" who just happens to be a boy. The story is set in small town Hanksville, Utah where the author provides vivid descriptions of the town as well as nearby recreation spots. This easy read is an interesting blend between historical fiction and mystery. 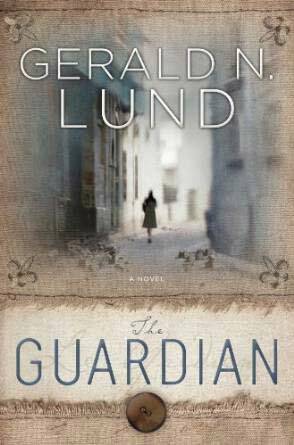 Lund is a gifted writer at historical fiction and he captures that perfectly when including flashbacks on the pouch or the characters. However, some of the usage of modern technology such as cell phones and texting can bog the book down. The author struggles a little with the dialog between the teenagers but the reader is quick to forgive as the story moves on to a satisfying resolution. Unlike Lund's other historical fiction novels, this is his first foray into true fantasy. Check your skepticism at the door while realizing that in the fantasy genre, the magic is not always explained. A good weekend read. Gerald N. Lund is a prolific author and speaker. His novels include The Work and the Glory series, The Kingdom and the Crown trilogy, Fire of the Covenant, The Undaunted, and his newest,The Guardian. He has also written several books on gospel topics, including a doctrinal trilogy exploring our relationship with Heavenly Father and how he expresses his love to his children. 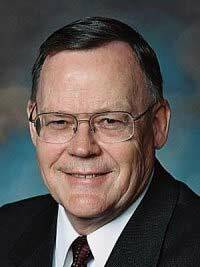 During his thirty-five years in the Church Educational System, Gerald N. Lund served as seminary teacher, institute teacher and director, curriculum writer, director of college curriculum, and zone administrator. He also served as a member of the Second Quorum of the Seventy in the Church of Jesus Christ of Latter-day Saints from 2002 to 2008. He received his B.A. and M.S. degrees in sociology from BYU. He also did extensive graduate work in New Testament studies at Pepperdine University, and studied Hebrew at the University of Judaism. He and his late wife, Lynn, are the parents of seven children.